LeEco expects the transaction to close some time in the fourth quarter of this year. The acquisition gives LeEco a sudden and large presence in North America, where Vizio is exceptionally popular, well-known for its highly affordable but capable TVs and audio systems. What remains to be seen is if Vizio devices will continue running Vizio software, or if future releases will see the company's televisions transition to LeEco's proprietary TV operating system. Per the press conference, it appears Vizio's TVs will be running LeEco's TV operating system going forward, though when the first products with that software will launch is unknown. Also unknown is what this means for LeEco's brand in the US - will LeEco smartphones, for example, be released in America under the Vizio brand? Or will Vizio simply be the TV and audio arm of LeEco, with the company's other products maintaining their corporate branding when and if they're released in the US? Given LeEco has never actually launched any products of consequence in the US, we don't really have any history to go on. But, for now, one thing seems clear: LeEco is definitely interested in the US market, though the extent of its aspirations remains unclear. San Jose, CA and Irvine, CA — July 26, 2016 — LeEco and VIZIO, Inc. announced today a definitive agreement under which LeEco would acquire VIZIO, Inc. for $2 billion USD. 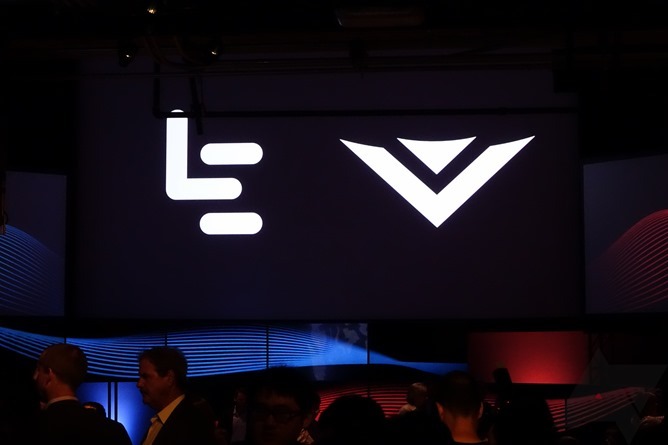 The VIZIO hardware and software businesses will be owned and operated as a wholly owned subsidiary of LeEco, while the VIZIO data business, Inscape, will spin out and operate as a separate, privately owned company. Recently named one of Fast Company’s 2016 “Most Innovative Companies,” LeEco is a leading global company that provides breakthrough experiences through an open, integrated ecosystem enabled by its Internet and cloud platform. LeEco develops intelligent hardware that serves as the interface to connect individuals, interact with them and to enrich their lives through premium content and applications. Based in Irvine, CA and founded in 2002, VIZIO is a leading consumer electronics brand in North America, with #1 unit share in Smart TVs1 and #1 unit share in Sound Bars2. The company is focused on delivering the ultimate home entertainment experience through its ecosystem of hardware, software and services. The acquisition benefits both companies with VIZIO offering LeEco a steady install base of users and a brand that is both popular and successfully distributed throughout major North American retail channels. LeEco provides VIZIO immediate global scale to bring its innovations to consumers worldwide. Like LeEco, VIZIO shares a similar vision of creating premium products with the latest innovations and making them accessible for everyone – from budget-minded students to custom home theater cinephiles – without sacrificing quality or performance. The VIZIO executive management team will remain in place and will continue its operations as an independent subsidiary from its existing headquarters in Irvine, CA. The VIZIO brand and its portfolio of products will continue to be sold through its existing distribution channels and supported by the same North American-based, award-winning customer service. William Wang will transition to Chairman and Chief Executive Officer of Inscape, with focus on the continued expansion and growth of the brand’s data business.